The fifth day of the fifth lunar month is the Duanwu Festival, also known as the Dragon Boat Festival and the Duanyang Festival. It is one of the three most important festivals in China, with the other two of course being Mid-Autumn Festival and Spring Festival. Before the Spring and Autumn Period, Dragon Boat Festival was a festival of disease and epidemic prevention. Later, after the patriotic poet Qu Yuan died for his country on this day, the Dragon Boat Festival turned into a festival in which Han Chinese pay homage to the Qu and remember the Chinese nation’s noble sentiments. According to historical records, in 278 BC , on the fifth day of the fifth lunar month,when the patriotic poet Qu , a minister of the State of Chu heard the news that Qin Jun had broken the capital of Chu, he was infuriated and threw himself into the Miluo River to express his sorrow with his death. The people along the river rowed boats in order to salvage his body and tried to call back his spirit, they also put rice and meat into the river to prevent fish and shrimp from encroaching on his dead body. This practice has continued for more than two thousand years and the annual the fifth day of the fifth lunar month has become a traditional festival to commemorate Qu. 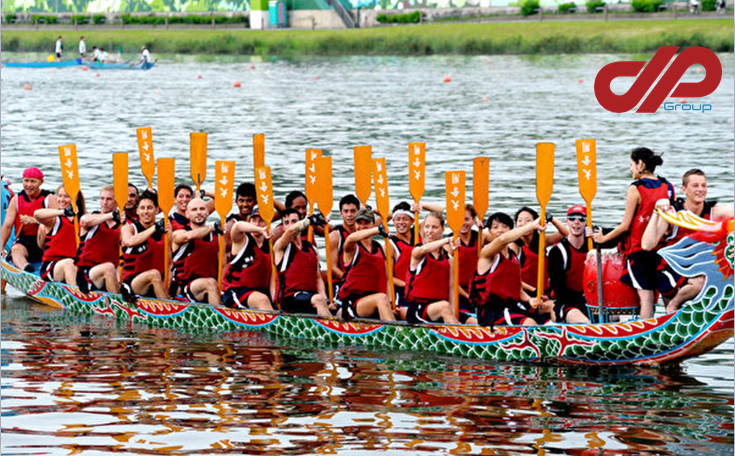 The Dragon Boat Race is the most important event of the Dragon Boat Festival, as each team row their colorful dragon boats to the crash of the drums. The inspiration for this activity came from the residents on the banks of the Miluo River at that time, sailing down the the river to save Qu Yuan, this tradition has been maintained for centuries. The popular food during the Dragon Boat Festival is Zongzi. Zongzi are rice wrapped in meat, peanuts, egg yolk and other materials which is then subsequently wrapped in bamboo leaves. The tradition again comes from the fisherman on the side of the Miluo River, who dumped the rice into the river to stop the fish and shrimp from eating Qu’s body. Another interesting custom during this festival is the act of hanging wormwood, as many Chinese believe that the month of May is a dangerous time during the year when diseases may easily occur, therefore, many measures must be taken to prevent illnesses in families. Many families will hang a special kind of plant – wormwood, at the door for protection and sterilization. Realgar is also a medicinal material and is said that it can defend against all kinds of poisons. Therefore, during the Dragon Boat Festival, the Shanxi people (Shanxi is a province in Northern China) will soak realgar in wine, sprinkle the wine upon a child’s ears, nose, brain, wrists and ankles, in order to repel pests and eliminate diseases. As the customs vary from place to place, what are the special customs of Dragon Boat Festival in your hometown? 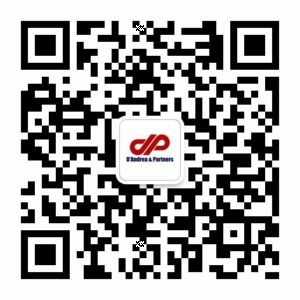 D&P Group wishes you all a happy Dragon Boat Festival and to enjoy Zongzi with your family.